The epic series can be yours in art book form this September. 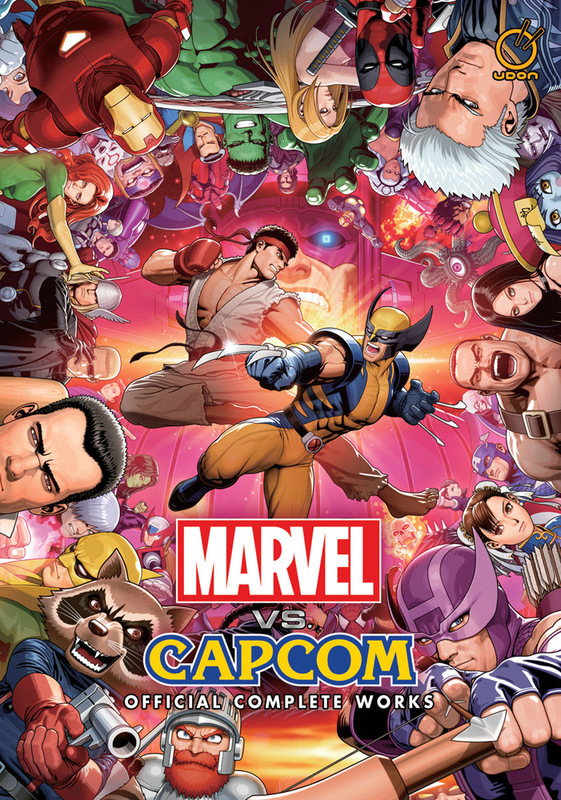 Udon Entertainment’s Marvel Vs Capcom Official Complete Works collects art from a wealth of classic games, including the gigantic Marvel Vs Capcom franchise. The hardcover edition was available at SDCC this year, as well as at PAX. Check out the info below, straight from Udon, and make sure to pick up a piece of fighting game history! An amazing collection nearly 20 years in the making, this is a brand-new art book collecting all of the official artwork, sketches, and bonus material from all of Marvel and Capcom’s video game collaborations—from 1993’s The Punisher arcade game right up to 2012’s smash-hit Ultimate Marvel vs. Capcom 3 for the PLAYSTATION 3, PSP, and X-BOX 360 platforms! Previous Persona 4: Official Design Works is In Stores Now!! !